If you’re looking for an experience that gets you back to nature in Bosnia & Herzegovina then you cannot miss the incredible Hutovo Blato Nature Park. Situated in the South of Herzegovina, just 30km from the historical city of Mostar, Hutovo Blato offers travellers the chance to experience a Mediterranean swamp with plenty of flora and fauna! This national park is in fact one of the largest Winter bird ports, so if you’re a keen birdwatcher then you definitely want to put this place on your itinerary and bring a camera! 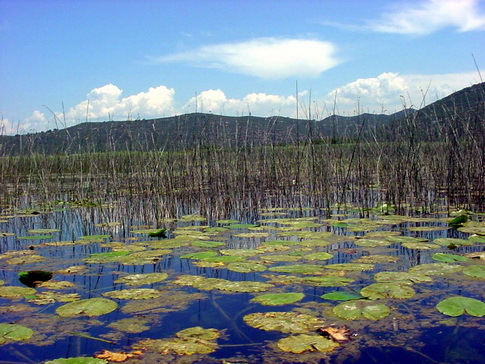 The landscape of Hutovo Blato is quite unique with lost rivers, valleys and gorges, with some lakes below the level of sea creating true crypto depressions. A green paradise with an abundance of plant life spanning swampland, meadows and forest. One such project has determined through their research that the favorable environmental conditions and influence of Mediterranean climate, more than 600 floral species were identified in the nature park. Fortuna Tours, the whl.travel local travel connection in the city of Mostar, offers some great tours of the region and the city of Mostar as well. If you are visiting Bosnia & Herzegovina you mustn’t miss out on this stunning green oasis. If you are really keen you can… take one of the Hutovo Blato Nature Park Tours to see this place through the eyes of an expert. If you are visiting the nature park you will want to make a booking at one of the many Mostar Hotels.